Mice didn't get cancer when fed diet grown with sea minerals! For 30 years Dr. Murray experimented with growing foods with sea minerals. You can see in his experiments listed below that mice that were injected with a carcinogen to get cancer did not get cancer when fed a diet grown with sea minerals, while the control group of mice ALL got cancer and died shortly thereafter; many plants that were exposed to disease did not get the disease, as opposed to the control group of plants that was not fertilized with sea minerals, and did get the disease. The book Sea Energy Agriculture Nature's Ideal Trace Element Blend for Farm, Livestock, Humans, contains a report by Dr. Maynard Murray of the many years of research on the breakthrough concept of fertilizing plants with sea minerals. If you are totally amazed, as I am by the results of the following scientific experiments conducted by Dr. Murray, just imagine having this nutrition in the food you grow! GroPal Balance contains GroPal concentrated sea minerals. Every time you apply GroPal Balance you are applying the goodness of sea minerals to your land. Mice were obtained for this feeding experiment. This strain of mice has been bred so all the females develop breast cancer which causes their demise. The mice were two months of age when received and started on the feeding experiments. The life expectancy of this strain for females is no more than nine months which includes the production of two or three litters. The experimental and control groups both consisted of 200 C3H mice and those fed on control food were all dead within eight months, seven days. The experimental mice that were fed food grown on the sea solids fertilized soil lived until they were sacrificed at 16 months; definitive examination revealed no cancerous tissue. The experimental group produced ten litters compared to the usual two or three litters and none developed breast cancer. Rats were obtained and were divided into groups of 25 control and 25 experimental. The control rats were fed controlled food while the experimental rats received the sea solids fertilized food. Both the control and experimental groups were injected with cancer (Jensen Carcino-Sarcoma) which has been shown to be a 100 percent killer. All of the rats fed on the control diet died within 21 days of cancer. Nine of the rats that were fed the experimental diet died of cancer within 40 days; sixteen lived five months until they were sacrificed; there were no cancer "takes" in the sixteen out of twenty-five survivors that were fed experimental food. One hundred and twenty rats were fed on experimental food for a six week period. Then half of the rats were sacrificed and the thymus gland was removed and implanted in the remaining 56 experimental rats. (The experimental group then contained the equivalence of a double thymus gland.) Jensen Carcino-Sarcoma was then injected in 56 control rats and 56 experimental rats with the result that all 56 control rats were dead within 23 days. Of the experimental rats, two apparently had a cancer "take" but it was absorbed and disappeared. Four of the 56 experimental rats died of cancer and the remaining 52 were sacrificed 90 days after their original cancer injection. No cancerous tissue was found in these 52 experimental rats. Although it indicates a possible trend in disease resistance due to food grown on sea solids fertilized soil, the part played by the double thymus gland must also be determined before conclusions can be drawn. Twenty four rabbits were obtained. Twelve were designated experimental and fed on food grown on sea solids while the remaining twelve were labeled control and fed accordingly. All the rabbits were given a high cholesterol diet for six months which produces hardening of the arteries and all had died within ten months. The experimental group did not exhibit hardening of the arteries. 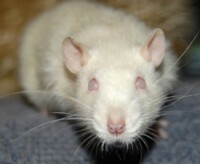 A breed of rats that developed disease of the eye was obtained. The 10 that were put on experimental food showed no deterioration of the eyes and bred five litters. Those on the control food diet all died secondarily of eye disease. One of the problems experienced by the dairyman was that his newborn calves from these pure bred cattle had difficulty standing in order to nurse when they were first born. They often had to be held for their first nursings and were often not uniform in size. However, when calves were born from the cows that had been on food grown on complete sea solids fertilized soil, all of the calves were immediately able to stand up to nurse and were uniform in size. 153 New Hampshire chickens were fed corn and oats grown on sea solid fertilized soil, and 153 were fed a mix of 2 parts corn, one parts oats grown on a control plot. The control group had worms, a nervous condition, and leg disjointing. The experimental group did not. 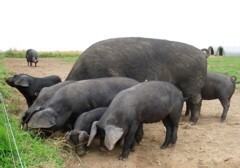 One sow and six pigs raised on corn and oats grown on land fertilized with complete sea solids were unusually uniform in size, showed no tendency to "root" and were easily contained in a small fenced area. When they reached approximately 180 pounds, they were taken off this feed and given control corn and oats. They immediately began excessive rooting and, by the end of the third day, they were extremely nervous and broke out of the pen on two occasions. On the fourth day they were put back on sea solids grown feed and were calm by evening. Thereafter, they were easily contained in the pen and, again, showed very little rooting tendency. Might it actually work to "Let food be your medicine", as seen in Dr. Murray's work? Here is some feedback from growers who have used GroPal concentrated sea minerals. But you don't have to eat produce grown with sea minerals to get the benefits of sea minerals! You can purchase a concentrated sea mineral product, low in sodium, that you can take as a supplement. I would rather eat produce grown with sea minerals, but this is the next best thing. Ionic Sea Minerals has all 76 minerals in near perfect balance that are readily available to the body. Please note, Dr. Murray's opinions, assumptions and conclusions are the result of this preliminary research and are not intended to be accepted as conclusive, and in no way should it be construed to make a claim for better health or concrete advances in disease prevention and/or treatment. Dr. Murray's book is presented in the interest of science to stimulate further research which may one day be conclusive." A plot containing four 12-foot high peach trees located approximately 20 feet from one another were selected to begin the experimental process of determining the effects of our fertilization process and resulting resistance to disease. The first and third peach trees were designated for experimental tests and were treated with 60 cc of sea water per square foot from the base of the trees to the edge of the foliage to cover the main areas of nutrition. The second and fourth trees were designated the control group and did not receive application. We made the initial application of fertilizer in March before the trees started to bud and around the first of May all four trees were sprayed with "Curly Leaf" virus. The experimental trees remained free of the virus and enjoyed normal fruit yields. 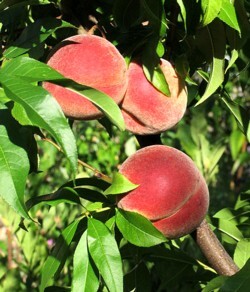 The control trees both contracted "Curly Leaf" virus and their peach yield was sharply reduced from the norm. The observation period for the test lasted three years although spraying with the virus took place only in the first year. The control trees contracted "Curly Leaf" each year and finally died while the experimental trees retained resistance throughout the three year test period and provided normal yields each year. Turnips were planted in a plot of soil designated half control and half experimental. The experimental section of the plot was fertilized with 600 cc of sea water per square foot of soil after a staphylococcus bacteria associated with "center rot" in turnips had been mixed in the soil of the entire plot. After the turnips had sprouted and the leaves appeared above the soil line, the leaves of both the control and experimental turnips were sprayed with the same bacteria. All of the experimental turnips grew to normal, healthy turnips without evidence of "center rot" while the control turnips contracted staphylococcus "center rot" and died. Tobacco Mosaic Virus, lethal to tomato plants, was selected as the exposure disease and all plants were sprayed. As a result, the experimental plants did not contract the disease while the control tomato plants died of the Tobacco Mosaic Virus. 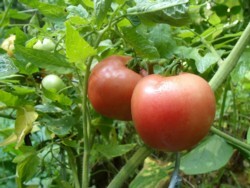 Tomato experiments were conducted in gardens in Northern Illinois. Here the experimental plots were fertilized with 2,200 pounds of sea solids while the control plots were administered the traditional fertilizing applications. The control plots indicated heavy blight from fungus; the experimental tomatoes that had been fertilized with sea solids were blight free. To see more of Dr. Murray's research, you may purchase a copy of Sea Energy Agriculture at the AcresUSA bookstore. "The above results are not final, but do indicate an interesting trend: crops grown with sea minerals seem to offer significant health benefits. Due to their preliminary nature, we do not suggest the same results would occur in a human being." be some truth to the saying "let food be your medicine"! pg. 1 "Life is electrical. Each cell is a little battery. It puts out a current. Deprived of this function because of nutrient shortfall or marked imbalance, the cell dies and deprives living tissue of its service". pg. 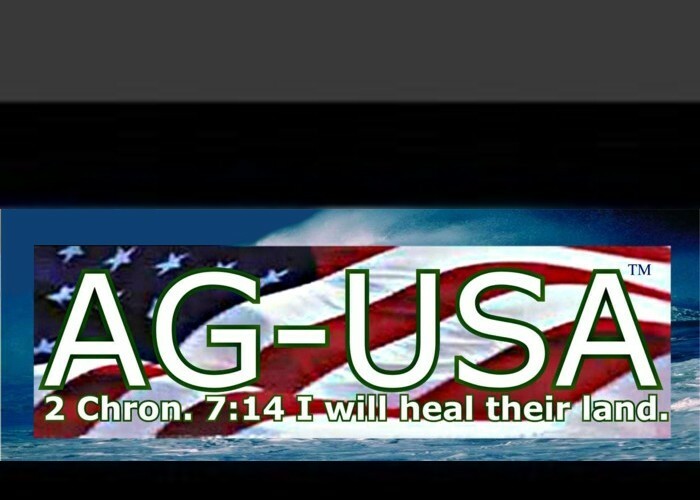 12 "More than 100 million cases of chronic or long-running illness and disablement afflict U.S. citizens today... These statistics are even more alarming if we take into account less disabling diseases such as dermatosis, chronic migraine headache and dental disease... There is no excuse for 97% of Americans having some kind of chronic dental disease." Let food be your medicine. The information provided on this website is not a substitute for professional medical opinion. It is provided for informational and educational purposes only. Healthy-Vegetable-Gardening and any parties or people associated with it are not making any medical claims on this site. All references to possible benefits discussed on this website are purely for informational purposes and no medical claims are made or maintained.